It was early on Wednesday morning – about 5:45 a.m. when I started to run my warm-up heading clockwise around the Westlake High School track. There was nobody in the stadium, nobody on the surface with me as you could hear my soft footfalls striking the ground 180 times per minute. Shortly after my first mile a couple of other runners showed up, dropped their water bottles and car keys on the infield and started in behind me. 2-mile warm-up, a bit of light stretching and drills and then it was time for the workout. 3-miles of “in and out” 100’s – where I would run the straightaways of the track at just under 5k pace (5:40min./mile) then float the next 100 meters around the curve before settling back in to 5:40 pace for another 100. Repeated for 12 laps or 24 cycles. My usual training partner David was not at the workout on this morning – his toe had been bothering him a bit on Saturday after we completed “The Monster” – a workout that deserves its’ own post sometime soon – so I was not surprised to be running alone for the workout. On any other day I would have been down about that prospect, but on May 29th it seemed fitting. 38 years ago on this same date, Steve Prefontaine would run his final race, winning of course at Hayward Field where he was undefeated at any distance longer than a mile. As I finished my first set of 100’s my coach called me over to correct my form. I had clocked the first mile including the floats at 6:20 with a goal of 6:18. Wind was gusting close to 25 mph, so I felt like I pretty much nailed it. Coach noticed that I was cutting my stride a hair short, making my plant leg land too far “under” my hip, which was putting more shock on my lower legs. Instead she wanted me to remember to bring my knee up just a bit higher so that my bent foot after striking the ground would pass by my planted foot closer to knee level, and not below it. I ran the curve practicing this adjustment and ran my second mile at the same effort in 6:16. I ran the final mile of the workout in 6:14. Faster still even though I was working hard to stay “even”. A tough workout, especially one done alone with nobody to pace with – but I was able to focus in on the task ahead of me and tick them off – 6:20, 6:16, 6:14 and had plenty of gas left in the tank. What should have served as a big confidence booster for me coming off of a really tough week last week just felt “blah”. Thundering along my final 400 around 5:35 pace should have been invigorating – the buzz usually lasts almost all the way through my mile long cool down. But not on this day as my thoughts traced all the way across the country to Coos Bay Oregon where a family will be mourning the loss of their son today and as will the small blue collar town on the coast. In Eugene, the same thing will be happening at track workouts, pubs and around the University of Oregon campus where people remember Pre. An American Distance Runner that made running “cool”. A sport which to that point and to some extent even still today is a lot of things, but “cool” isn’t necessarily one of them. Pre ran the way that most of us wish that we could. I’ve come to accept that running and especially the speed at which we run is relative. There really is no slow. Just degrees of fast. People often say to me – and keep in mind, I am by no means an accomplished runner, or one who is particularly talented or gifted – I just tend to work at it harder than some others. “I’m not fast like you are” or “I’m not a real runner like you”. To me, a runner is anyone who is working as hard as they can to approach their potential. By that I mean, if your genetics, age, injury history, mechanics and training allow you to approach a 9:00 minute mile and you do your absolute best to improve that to 8:50 …. then you are every bit the runner I am as I try to improve my marathon time by a handful of seconds per mile to break 3 hours. Or to take just :03 off of my 5K PR to break 18 minutes. We are working just as hard at the same exact pursuit. “All of my life – man and boy – I’ve operated under the assumption that the main idea in running was to win the damn race. Actually, when I became a coach I tried to teach people how to do that. I tried to teach Pre how to do that. I tried like Hell to teach Pre to do that… and Pre taught me – taught me I was wrong. Pre, you see, was troubled by knowing that a mediocre effort could win a race, and a magnificent effort can lose one. Winning a race wouldn’t necessarily demand that he give it everything he had from start to finish. He never ran any other way. I tried to get him to. God knows I tried. But Pre was stubborn. He insisted on holding himself to a higher standard than victory. A race is a work of art. That’s what he said. That’s what he believed. And he was out to make it one every step of the way. Of course, he wanted to win. Those who saw him compete and those who competed against him were never in any doubt about how much he wanted to win. But how he won mattered to him more. Pre thought I was a hard case. But he finally got it through my head that the real purpose of running isn’t to win a race. It’s to test the limits of the human heart. And that he did. Nobody did it more often. Nobody did it better”. Maybe that is why as badly as I want to run well at Cottonwood and I am training harder than ever before to give myself the best possible chance of breaking through 3 hours on race day – more than anything – I just want to run a race that I can be proud of. To test the limits of my heart in a way that a now 62-year-old Steve Roland Prefontaine might glance with respect at the slight middle-aged runner from Austin TX, the same height he was, 7 lbs. lighter with hair much shorter – running the final 385 yards pouring every ounce of energy into the pursuit of excellence. To be better on that day than I have ever been before – 2:59 or not – to me, anyone that sees me race that day will know that I was there and that I could not have run that race even one second faster. In my eyes, that is the definition of a runner. 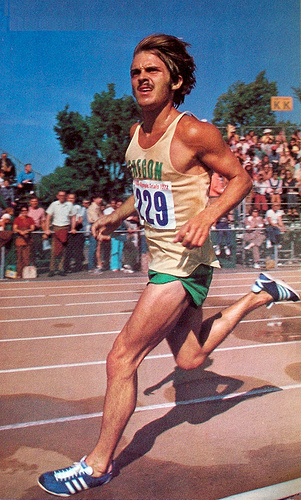 At the time of his death Steve Prefontaine held every single American Record from 2,000 meters to 10,000. Pre started 153 races in his career and won 120 of them. In High school he broke 19 different records. Just last summer, 40 years after he set the mark, Olympic Silver Medalist Galen Rupp finally broke Pre’s 5,000 meter Olympic Qualifying record in 13:22:67. 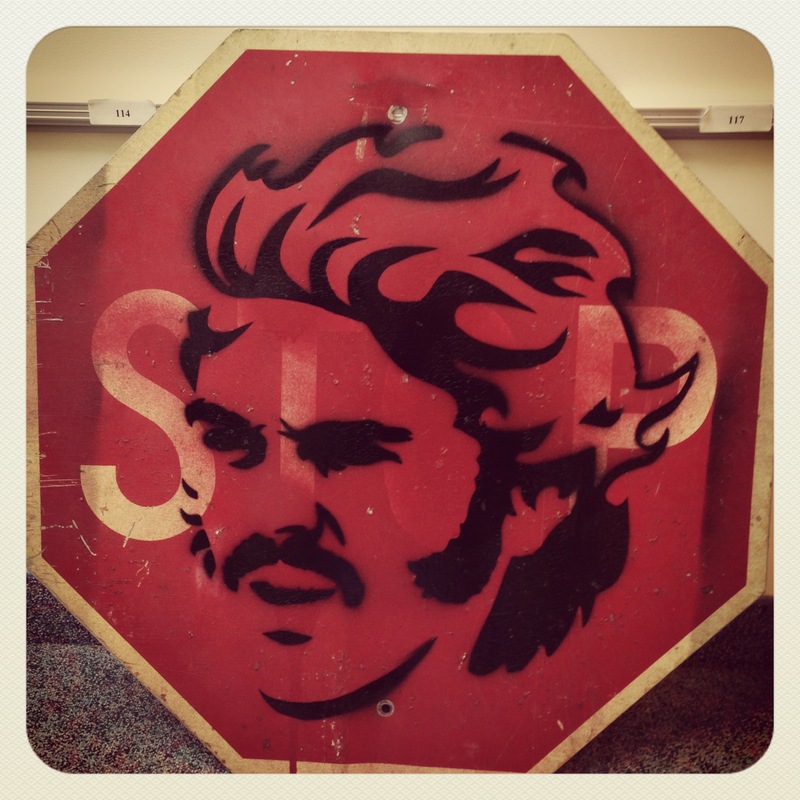 Prefontaine’s record time, the oldest track and field Olympic trials record on the books was 13:22.80. Somehow I have a hard time believing that head-to-head Pre would not have found a way to dig down and summon the strength to find those 13/100’s of a second. After posting my workout on Thursday morning to my training plan spreadsheet I glanced at the “Completed” area on the bottom right portion of the document. We have completed 15.90% of the total mileage on the plan so far and 17.95% of our scheduled runs. As our daily mileage increases and our Sunday long runs move from 16 miles up to 22 miles, soon the mileage % will surpass the number of runs completed % and then finally during the taper they will normalize and equal each other. It is interesting to think about a training cycle along those terms, but one that is well put together really is about consistency and periodization. Build the strong foundation (number of runs, consistent approach day after day), then force the adaptation (higher mileage, tougher and faster workouts), then recover and get the machine ready to peak for race day (taper period). I don’t usually look too far ahead when it comes to these things as I have found that it is better for me to simply focus on what is immediately in front of me instead of some workout 8 weeks away that right now might look pretty daunting. Just stay the course, run the workouts that you have scheduled and leave the door every morning with a purpose. Jack Daniels, PhD is one of the strongest believers of that tenet – every run should have a purpose. Even if that purpose is simply active recovery from one tough workout prior to another. But you should never run a workout without knowing specifically what you are trying to accomplish. Akin to Coach’s comment about not boarding a plane to Baltimore if you want to get to New York …. you want to be sure you are dialed in and aware of what you are trying to get from each session so that you end up in the right place on race day. Thursday’s workout was my first hill repeat session for Cottonwood. 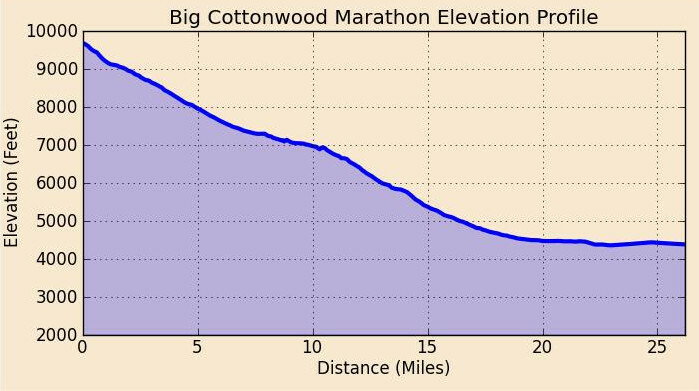 Due to the downhill nature of the course, Cottonwood in many ways will be the most challenging marathon I have ever attempted. That is not to say that a fast time is not possible on such a course. In fact, if run correctly, the downhill elevation change can produce a fast marathon time. But just like everything else about the marathon – that will not happen by accident. If runners do not prepare for the grinding downhill course – late in the race, all of that “braking” that is being done by the large quadricept muscles will take their toll and it will be impossible for the runners to hold pace over the final 10 kilometers of the race. This is something that happens in Boston to runners year after year after year. Everyone worries about the “Newton Hills” and “Heartbreak Hill” – but the reality is that for many competitors it would not matter if those hills vanished from miles 16-21 of the course. The downhill start from Hopkinton to Newton for 14 miles is what sapped the strength from those runners. By Heartbreak you can just stick a fork in them because they are done. That was us in 2010. I had plenty of “want to” at that point – unfortunately, I just didn’t have the strength left in my legs. Ever since, we have incorporated hill work into our training and that has never been a problem since. 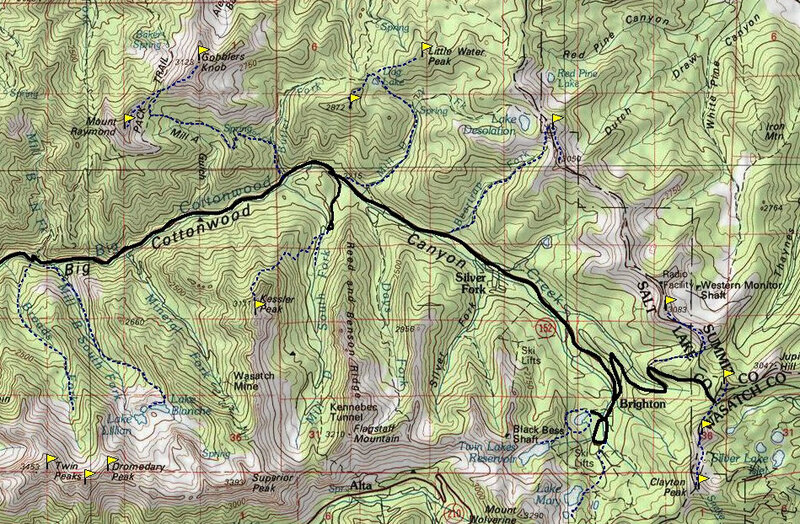 But for Cottonwood, this preparation is even more important as we will be losing close to 4,000 feet of elevation from start to finish. About 3X that of Boston. 1 mile Marathon Goal Pace home. After our final recovery jog to the top our Marathon Goal Pace Mile (Target of 6:47 as it was slightly downhill), came in at 6:41 – which looks great on the training log, but actually frustrated me as I needed better restraint and focus to not run that mile :06 fast. That will come with time. I will do better on the next one. All in all just another brick in the wall so to speak, but an important one as we prepare with great focus and specificity for Cottonwood. As it turns out we are exactly 1,000 miles away from the starting line on September 14th. Not that I am counting or anything. But with only 15-20% of the work done to this point – I have to say that I like where we are right now. An enviable position with 16 weeks remaining until race day. There have been a few breakthrough moments for me when it comes to this sport over the last 5-6 years. Just a handful of moments where the runner who finished the race was different from the runner who started it. More than 1,300 runs, covering more than 12,000 miles and I can count on one hand the days that really made a difference. May 2, 2009 – Pittsburgh Marathon I. October 17, 2010 – IBM Uptown Classic. November 6, 2011 – New York City Marathon. March 18, 2012 – Shamrock Half Marathon. December 7, 2012 – Lights of Love. Those were all days when I took my first strides across the starting line “Thinking” I could do something and by the time I crossed the finish line I “Knew” that I could. Everything else is just a blur of workouts, training runs and races. But those 5 days are the reasons why runners continue on. Keep searching. Keep training. Keep pushing. You hope that every time you have one of those days, it is not your last. That there will be one more out there in front of you that will make all the hard work, early mornings, runs in the heat, wind and rain worth it. Breakthrough moments. The funny thing is, none of those moments for me have ever occurred while I was training. They are unique to race day. I have been trying to articulate this to people who ask me what it is I love about racing and I have never been able to explain it properly. Training runs are for race day. They are not about posting workouts via social media so everyone can tell you what a beast you are or for throwing it up on Facebook to impress others. They are simply a means to an end for me. They are the price of admission to those breakthrough moments. None of which would have ever occurred without the dues-paying workouts. The non-glamorous stuff like 4:45 a.m. alarm clocks and 8 miles at 7:52 recovery pace like I ran this morning. Then finally – I got an e-mail from Coach Carmen who put it perfectly about the value of sticking to your planned workouts. Not doing more to impress people (even yourself) – the idea behind running your training plan and racing your race. Not mixing up those things and going faster during training to prove something to someone. Even you. “What I find to be the biggest mistake marathoners and half marathoners do in their training is not training the right paces. At this point your longer, faster intervals should be easier than if you were training for a 5k or a mile, much easier. So the tendency is to do them faster. Please don’t. I will not be monitoring this, but I will try to give you the right paces and you will be responsible for following them or not. Why should you stick to the paces?. Simply because is the pace you want to target. For example, if you want to go to NY, you will not take a plane that will land you in Baltimore right? Same concept. The excuse I always get is “but if felt easy, so I did it all faster”. “Again, discipline is one of the most important traits of good marathoners. You all are hard workers, but so are all the other people in your races, only you can decide on whether you take this to the end or not”. We all place extra emphasis on being “tougher” than the other runners that we are competing against or “wanting it more” than the rest of them. But the bottom line is out of the men and women who are toeing the line at Cottonwood looking to run something close to three hours flat, they are all tough. They all want it badly. They are all talented. They will all be prepared. The test for me will be whether I can run these next 98 workouts and 1,015 1/2 miles of my training plan intelligently. Running my assigned paces as assigned. Not faster and not slower. Can I take my recovery days seriously. Take care of my body. Eat right. Can I run easy when called for even when it feels like I could go faster. Actually, especially when it feels like I could go faster. I feel like I am ready for this now. For this approach. To trust my training. Do not more than asked and certainly do no less. In the end all I want to be sure of is that I get on the right plane. Once I’m there in Salt Lake City, standing at the top of Cottonwood Canyon with 26.2 miles to go – I will have plenty of time to show off just how tough I am. How much desire I have, how badly I want it and how talented I am. I just don’t have to prove that day after day during my training. That is a recipe for over-training, injury or both. All I want is just one more breakthrough moment. Here’s to it happening on September 14th. And now 2:59:59 is the goal at Cottonwood. There is no fallback position, no “B” and “C” goal for that race. If I run well things like a new PR in the marathon and re-qualifying for Boston will take care of themselves. The math is pretty straightforward. 26 miles, 385 yards in 179 minutes and 59 seconds. That is one of the things about road racing that I love so much. It is in fact very uncomplicated at its core. Sure we tend to muck it up as humans do. Assigning all types of if this, then that propositions to it. But in the end whether it is hot or cold, windy or calm, the course is long or short, my legs feel fresh or flat – all of that is just noise. So going into this cycle I knew that I needed to do something different than I have in the past. I was able to take more than 50 minutes off of my marathon time over the past 6 years and was able to PR in New York City by just under 7 minutes – the last marathon I truly got a chance to “Race” as Boston in 2012 brought 88 degree temperatures on race day and we just trotted that one in to err on the side of caution. Houston earlier this year – well, that has been well documented as we missed the race due to an untimely strain to our left Achilles. Running the requisite mileage is something that I think everyone who knows anything about training for a marathon understands is an absolute necessity. You need the strength, stamina and mental toughness that comes only from running several long runs of 20, 21, 22 miles to be ready for what is coming on race day. But the one area that I could look at as a “missing piece” in my training was true speed work or track work. It is something I had never done in the past, and if I was really serious about making some changes in my training and not just “talking about doing it” like many athletes do – I needed to do it and do it now. That was the reason for meeting with Coach Carmen Troncoso – talking about her philosophy in preparing runners for road races, and how we could take my current level of fitness and race experience to the next level. Most things you really want in life don’t come to you because of dumb luck or by accident. It is pretty close to a miracle that I ran a Boston time in my second ever marathon as a self-coached athlete with less than 2 years of running experience. Since then I have learned a lot, made my fair share of mistakes, analyzed them and improved. But how can my knowledge base compare to someone who has been training, running and racing at an elite level – first as a collegiate runner – then as a Masters Runner at the national level for more than 30 years? 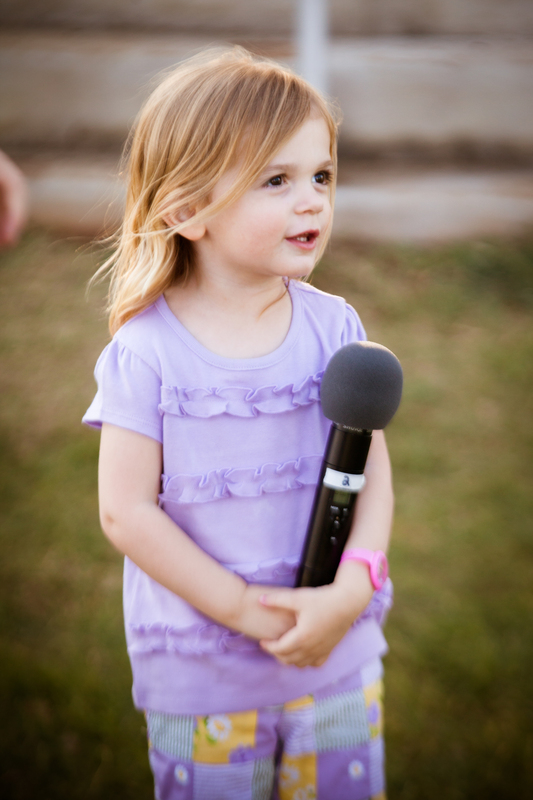 Perhaps just maybe, she might have a thing or two to teach me. But as I have been posting my workouts in my training logs I am starting to get a lot of questions from my friends and peers. Why that workout? How hard was that to execute? What are the benefits? How does that speed work help on marathon race day? All great questions – and ones that I pondered myself before I started to work with Carmen. 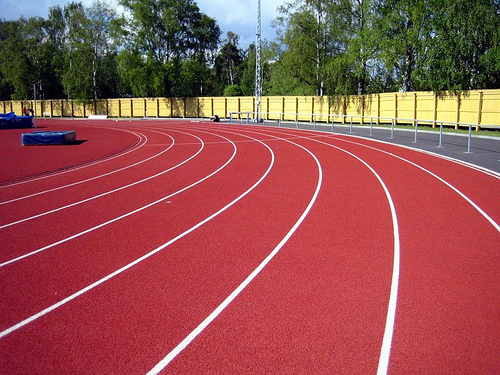 Fundamentally there are three key benefits to speed work (track workouts) for marathoners. Greg McMillian posted a great piece about this in Running Times. 1) Short, fast repeats improve your running economy (the amount of oxygen consumed at a given pace), and improved running economy is very important in the marathon. Think of it as getting better gas mileage–you can go longer before running out of gas. 3) Short, fast repeats allow you to insert some volume of running at a pace that is significantly faster than marathon race pace. This last point is a critical one – as this Wednesday’s workout called for 10 X 400′ at :90 seconds with :19-20 seconds of rest between repeats. 88′, 90′ 88′, 87′, 87′, 88′, 89′, 89′, 88′, 87′ – basically 5:56-5:58 pace per mile. On just under :20 seconds of rest between 400’s – the last mile of the workout requires quite a bit of focus and effort. This Saturday – the workout will be a 3-5-8-5-3 session. Where the numbers correspond to the number of minutes run at Tempo Interval Pace (6:10-6:20 for me) – or 10K pace + a handful of seconds – with a rest period of 1/2 those minutes at a recovery pace. Between Wednesday’s workout of 2 miles at sub 6:00 minute pace and Saturday’s workout of just a hair under 4 miles at 6:15 pace we are able to add 6 miles of basically race pace running to our training week. Each and every week the duration or intensity of the workouts will increase with the exception of our step-back weeks where we will dial back just a bit to make sure we stay healthy. At the end of the training cycle we will have well over 125 miles on our legs at 10k, 5K or even sub 5K pace. The equivalent of racing more than a 10k every week between now at race day. With the goal of increasing our running economy, keeping us mentally sharp avoiding fatigue in just grinding out the long runs day after day, and making Marathon Goal Pace “feel” a whole lot easier on our machine come race day. After running so much up-tempo work in the Texas heat this summer – when we get off of that bus in Cottonwood Canyon and those 40 degree temperatures hit our skin, we are going to start ticking off those 6:52’s like nobody’s business. The first 8 miles are going to be our warm-up, the middle 8 miles will be the start of the fight. The third 8 miles will be the time where our will and our want to starts to be tested. The final 2.2 miles are going to be an all-out street fight. There are no two ways about it. I am going to have to fight, scratch and claw for every single step to hold pace until we reach the final 400 meters. But if all it is going to take to get there is a 102 second 400 to make it, I am going to lean on those hundreds of laps around the track this summer where we ran 86′, 85′, 84′ lap after lap after lap. If there is one thing I learned growing up it is this. When it comes to a street fight, never bet against the guy from Philly. This weekend brought the first annual Ace Cash Express-Back on My Feet in24 Race Challenge to Austin, TX. The race series starting in Philadelphia, PA 5 years ago features a 24-hour ultra marathon, a 5-person team relay as well as two individual 5-mile races. One held at sunset on Saturday evening, the second one held at sunrise on Sunday morning. I have friends who have run 100 mile races, 50 mile races and 24-hour events in the past – something I have never attempted since I started running in 2005. To be honest, the thought really has never crossed my mind at this point. I still have one distance running goal that I am chasing with all of my focus and passion for the sport – and until that goal is met, or I realize that it cannot be met – I do not see me entering an ultra marathon of any shape or size. 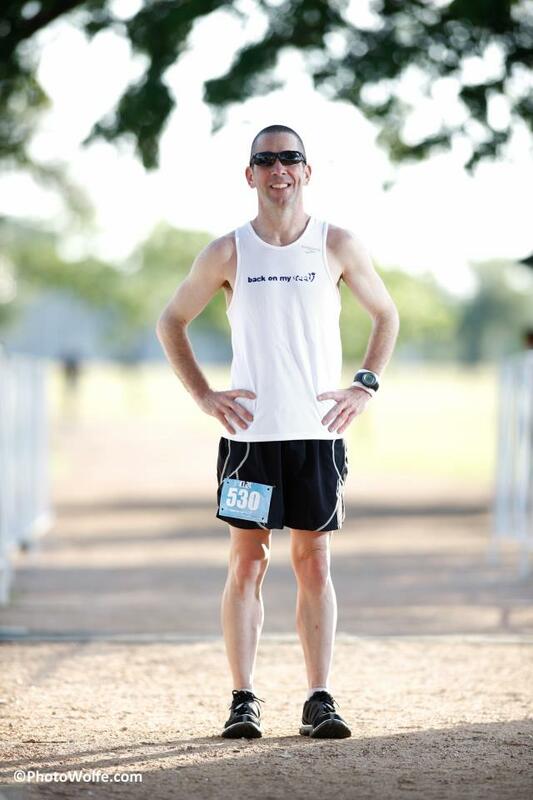 But given my role as Executive Director of Back on My Feet Austin – I was fortunate enough to have a front row seat in the planning, execution and management of the first year race in good old 512 and I have a new-found respect for the 37 runners who participated in the Lone Ranger Ultra. The runners showed up a couple of hours before the 10:00 a.m. start on Saturday and started to set their tents up on the Camp Mabry parade ground. I met most of them the previous evening at Rogue Running downtown as they came in to pick up their packets and have their vitals taken by medical professionals so that their resting heart rate, weight, temperature and blood pressure could be recorded. These benchmarks would be used during the event if necessary to make sure that the on-site medical teams could monitor athletes for symptoms of dehydration, heat exhaustion or any other maladies that moving ones body forward for 24 consecutive hours may create. As we staged the runners, took 26.2 seconds of silence to remember the tragedy in Boston it was my finger on the horn that would start the race. It was amazing to see the first laps turned by the athletes and watch as they focused on the miles ahead that would stretch one for a full day. As morning became afternoon and afternoon became evening the miles continued to pile up. At 7:00 p.m. 150 or so 5-mile racers loaded up into the starting corral for the Sunset Run and I passed over official Race Starter duties to my daughter Landry – who executed a perfect “Runners to your mark!” at 2 years, 8 months old. As we wrapped up the awards ceremony for the Sunset Run and participants enjoyed a hot meal from My Fit Foods and cold beer compliments of New Belgium Brewery the Lone Rangers continued around the course into the dark of night. At 4:00 a.m. when I began stirring after grabbing a couple of hours sleep, they still were making their way around the 5-mile loop with their headlamps shining the way. I decided that after conducting the pre-race briefing for the Pajama Loop Runners prior to the 7:00 a.m. race, I would hop into the event and run with the group. My legs were sore from standing the previous day, I was not fresh and certainly not ready to run a best ever 5-miler – but I knew better than to complain as the Lone Rangers continued around the course as our race started. It was a small event and I quickly found myself out front behind the Gator that was serving as the lead vehicle. I let the staff drop behind me as I knew the route and lead the second place runners around the loop. By the turnaround point I had opened up a lead of 4-5 minutes on the 2nd place runner and I was running silently alone through the course. I imagined for a moment what it must be like for the Lone Ranger participants to continue to run by themselves mile after mile, lap after lap. As I passed two of the Lone Rangers who were walking the hilly section of the base together, they both let out a cheer for me as I sped past – and all I could do was smile. What in the world was I doing that deserved their cheers? They were the ones who were out there doing something truly remarkable. 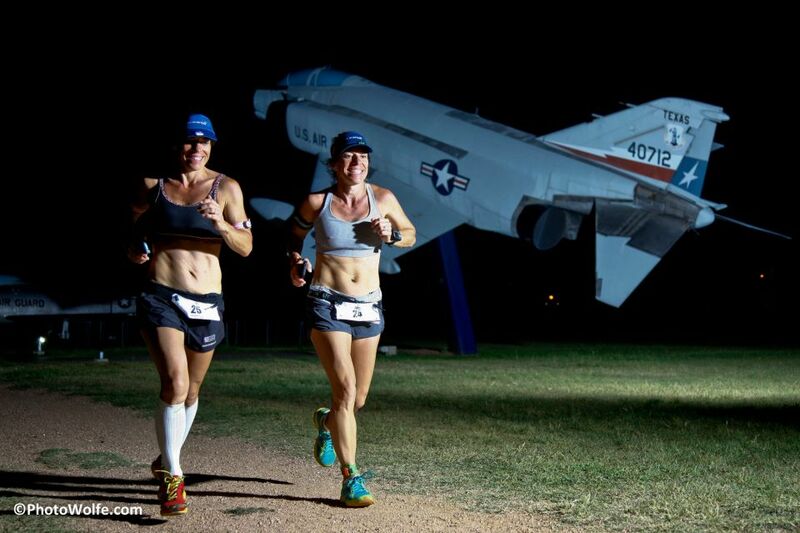 As I hit the final mile of the race I took everything in, ran around the retired tanks and fighter jets and made my way to the finish line. For the second time in a month I was fortunate enough to add a first place finish to my racing resume. After I grabbed a cup of water I joined Jacqueline for a mile on her way to 75 for the event and third place overall in the Female Lone Ranger Category. I then hooked up with Douglas Long – US ARMY – from Fort Hood for his 105th mile on the way to 110 in total and a first place finish in the event. It was a great weekend of racing at a great venue in ATX, bringing all kinds of athletes and their families together making a difference for a great organization that helps individuals experiencing homelessness find hope, strength, self confidence and self-sufficiency through running. Next year the event is sure to attract 2-3 times as many participants and it may very well take well more than 110 miles to win the men’s category and more than 81 to win the women’s race. I have an amazing amount of respect for the athletes who participated this year and I am honored and humbled to have had the chance to race in their footsteps and even share a few miles with them on the course. Austin, mark down May 10th and 11th on your calendars next year – only 363 more days left of training. Two weeks in. Things are starting to click. I’ve run 12 out of the last 13 days. That has never happened in the 8 years I have been a runner. I have to admit, when I climbed into bed last night I was very thankful that today, Friday was a rest day. From here on out, until race week at Big Cottonwood on September 14th, Thursday nights are going to be looked forward to. As I hopped out of bed this morning I do what I always do, I take the first few stiff steps toward the bathroom and I take stock. How do the stems feel today? Any new aches and pains? Any soreness? Tightness? All I felt this morning is strength and fitness. It is coming back quickly and in fact I am starting to think that our injury in December and subsequently having to pull out of the Houston Marathon was a blessing in disguise. We missed a rather miserable race day in Houston. Cold, windy and rainy – a race where one of my close friends and a runner that I have the utmost respect for not only as a talented athlete, but a determined, tough, gutsy and very strategic road racer took his first DNF (Did Not Finish). If ever there was a race day to miss. January 13th appears to have been that day. After recovering from the Achilles strain I was able to take a physical and mental break from training non-stop, take a step back, look at my progress over 2012 – which included new PR’s in the 5K, 10K and half-marathon as well as completing our first Half-Ironman and realize that we had one heckuva year last year. It was a strong foundation to build upon and if we were smart and could find new ways to challenge our fitness level and our running talents – we could “next level” this thing. And with most of the year still in front of us we could do it in 2013. The injury forced me to set the triathlon aside for this summer, we’ll get back on that horse next season, and focus on our run 100%. Something we had not done in about 18 months. It led to deciding after all this time that I would add track work to our training and more importantly a running coach and training partners. This Wednesday’s workout which had my legs feeling like toast on my Thursday recovery run and all day yesterday clearly is going to force adaptation. 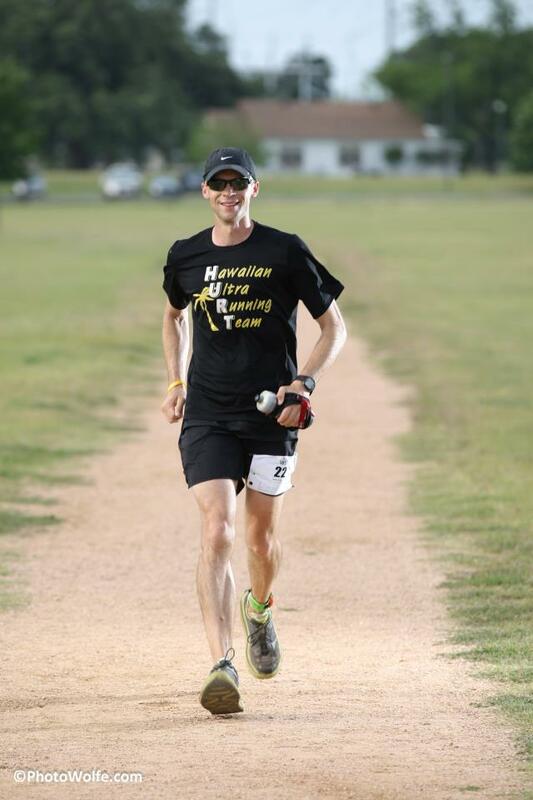 I am starting to look forward to June 15th’s 5K in Holland, TX as something a little bit more than just a fun morning running in a small-town festival race. I am going to look back at the previous 4 years results at Holland and see if we can post a course PR for ourselves. After 6 weeks of training with coach and a couple of track workouts every week, can we shave :05 or so off of our Holland time from 2011? Last year I was about :07 seconds off of that time, but had held back ever so slightly knowing I had the Lake Pflugerville Triathlon the next day – on one of the more taxing race weekends I had ever attempted. The road to Cottonwood is paved with tough workouts and 17 more “Thursday Nights” before race week. We still have a long way to go, but that is something that has me even more excited. I feel like we could be ready for the marathon in 6-8 weeks right now. Instead we have more than twice that amount of time to sharpen the sword to a razor edge and run right up against it on September 14th. Initially I thought that we would play it safe at Big Cottonwood – not take too many chances and just lock in with a conservative race plan and run a solid BQ. As I was toiling away on the track on Wednesday, running 100′ after 100′ I started to get that feeling in my stomach that running a conservative race just isn’t my style. I’m smart enough to know that charging down Cottonwood Canyon :10 seconds faster than goal pace is a recipe for disaster. A mistake that I’ve learned long ago does nothing but make the most difficult 10 kilometers in road racing – the final 10K of a marathon – nothing more than a suffer-fest. On race day, I will have a specific plan, and I will execute it as close as possible mile after mile. It is going to be in the setting of that plan that we will be fearless. If my indicators and splits are showing that we are indeed ready for 2:59 in Utah, well then, that is exactly the race we are going to run. If it says 3:01, well then, so be it. But I have a feeling that if we have been close to or ready for 2:59 in the past – this training cycle, this hot Texas summer to train in and this particular marathon and course set things up for us like they never have previously. All I need is the weather, and if the tailwind is blowing down the canyon that morning like most of the locals claim it does 99% of the time – well then we are going to take no prisoners. It will be strange running a marathon without any crowds around us. In the past I have trained 100% by myself and then on race day had tens of thousands of runners around me when the race started and in the case of Boston 2X, Philadelphia, New York, Pittsburgh 2X even here in Austin I have been in a pack of hundreds throughout the race. This time we will be training in a crowd, doing workouts with our group – and then on race day less than 2 miles into the race I will be more than likely be running in a group of 6 or less. By the midpoint, maybe 1 or 2. By mile 20? Alone. There will be nobody to push with, nobody to chase down, and very likely nobody on our heels. We may have more than 2-3 minutes between us and the nearest competitor in front of us and behind us. There will be no hugs waiting for me at the finish line from Dawn and Landry as they are going to be having a Mommy-Daughter weekend in Austin. So Dom, this one is going to fall squarely on your shoulders. When things start to get difficult and the downhills have robbed my legs of the juice that they had only a couple of hours earlier I am going to need you. Just remind me how if you had the chance to trade places with me at that moment you would do it in a heartbeat. You would gladly hop right in those race flats to feel that pain, embrace it and channel it because it serves as a reminder just how alive I really am.It will have been three years and 30 days exactly since you passed away Dom and I still think about you on every single run. Some more than others of course, but on race day you always seem to show up just when I need you the most. I’m counting on you for this one Dom. I’ll run the 1,201.80 training miles. And I’ll run the first 22 on race day. All I’m asking you for is 4.2 miles Dom. Less than 29 minutes ought to do it. See you at Big Cottonwood my brother. I made my hotel reservation for next spring’s Boston Marathon yesterday. Pretty ballsy for someone who is not sitting on a qualifying time at the moment. But to be completely honest, I’m not worried at all about running a “Boston Time” at the Big Cottonwood marathon on September 14th. If it weren’t for the fact that I think hotel rooms are going to become incredibly scarce (and expensive) as Boston approaches next year – I wouldn’t be thinking that far ahead at all. For the first time in a long, long time I am 100% focused on the here and now. I’m not looking too far down the road or worrying about an upcoming race or workout – I’m completely committed to my training plan and to relying on Coach Carmen’s ideas about how to prepare me for September 14th. If the plan calls for 8 miles with the middle 6 at steady date 6:20-6:30 like this past weekend the day before my Sunday long run – I’m running them as prescribed. No thought about is it too much, too little, will I be able to bounce back quick enough for Sunday’s workout. Just shut-up and do the work. (I crushed the workout on Saturday by the way). Tomorrow morning’s workout calls for a 2-mile warm-up, dynamic exercise and then 3 miles in and out 100’s at 6:30 pace. Meaning I am going to “run” the straightaway 100’s at 10K pace (6:10 ish), then dial back on the curves of the track for 100 meters around 6:50 min./mile. Run the straights, cruise the curves X 12. 2 mile cool down. It will end up being a 7-mile workout, with 24 100’s at 6:10 pace, 24 100’s at MGP. It will be my 9th run day in the last 10 days and I could not be more excited about the workout. My legs feel strong, my cardio is in a great place – and even though we are coming off a rather disappointing race at Bun Run a week and a half ago – I’m moving past it – chalking it up more to course and conditions than anything else. Today’s easy day left me feeling like I had a lot more to give at the end of 8 miles as I was cruising along in the low 7:20’s – feeling no fatigue or beat-down from the increase in runs and mileage. I know that we have a long way to go – and that as the summer heats up here in Austin there are going to be tough days and flat workouts. That is all part of the making of the marathoner. But right now I am just taking the workouts one day at a time, one mile at a time, one lap at a time, one 100 meter interval at a time. On race day I am already visualizing that same approach. I am going to glance down at my pace tat on my left forearm at the start of every mile and run 26 consecutive one mile races. No faster, no slower, no worries about mile 22 when I am on mile 16 or mile 6. Just run the mile that is at hand. When that one is done, run the next one, then the next one and the next one. All of the pressure that I had been putting on myself to plan my workouts, execute those workouts and evaluate them has been passed over to Coach. It is perhaps the greatest gift I have ever gotten in the sport with the exception of watching Dom’s battle with cancer and being taught what true courage really is. I feel like a giant weight has been lifted and now I am just a runner who is doing what he is told to do. Carmen and I are still getting to know each other, feeling things out. I think that she knows that I am motivated, dedicated and I am proving to her that I am a coachable athlete. What I don’t think she knows just yet is how much I am willing to hurt. How much it takes to break me. On race day, how easy it is for me to remember why I am running, who I am racing for and that giving up or giving in would hurt me a whole lot more than any physical pain that the marathon can put on me. I have been confident in the past, but there has always been a small nagging feeling in the back of my mind wondering if I was really good enough, fit enough, tough enough to race the marathon to our potential. I’m sure I will have my moments of doubt again this summer at some point after a tough workout or a flat performance. But the important thing is going to be my ability to shake it off, learn from it and keep moving forward. No matter what, just focus on the next task at hand and keep pushing. That is how winning is done. That is how we are going to race Big Cottonwood. Once mile at a time.